Simple Cheesy Salsa Chicken – 2 Minute Prep! 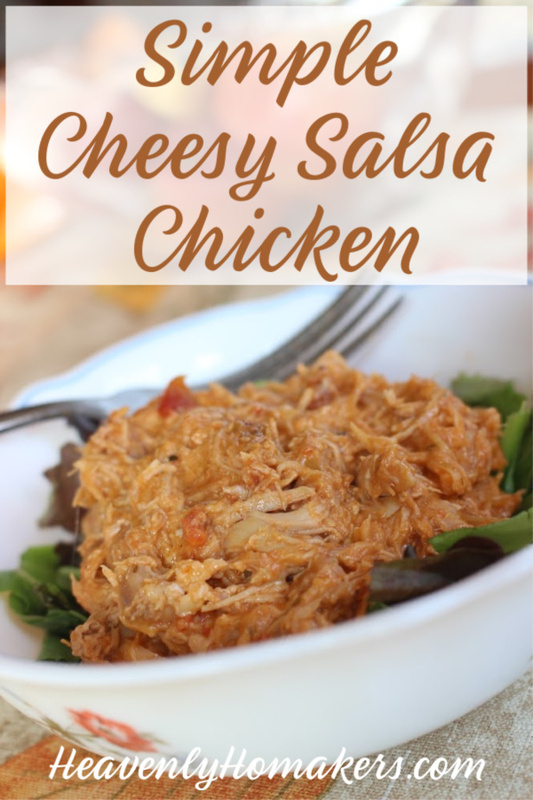 What has kept me from thinking of this idea Simple Cheesy Salsa Chicken before? After all, I’ve been on a grand mission to use the same basic, real food ingredients in all different ways to create a variety of easy-to-throw-together meals. And yet, it never occurred to me to put chicken and salsa together, then stir in some cheese? You may recall the Simple Crock Pot Salsa Shredded Beef idea, in which we put a frozen (yes, frozen!) roast into the crockpot and dump salsa on top. It cooks itself, falls apart like magic, and tastes amazing in tacos, burritos, salads, or simply on a fork. Now let’s take that same idea and use chicken instead. Frozen chicken, to be exact. Unless you are the type to actually remember to thaw your meat. Thawed meat works well too. Some of us are underachievers who cannot handle thinking of and walking to the freezer hours before meal prep time. We feel ridiculous about this weakness, but it is what it is. Dinner arrives at the table just the same because we have learned ways to compensate for our lack of meat-thawing skills. We have accepted that thawing meat is not our gift. We have moved on. Therefore, we take frozen, boneless chicken and put cook it with salsa until it falls apart. We eat it with joy, and because of this, we are never motivated to remember to thaw meat again. Simple Cheesy Salsa Chicken - 2 Minute Prep! Place chicken and salsa into a Crockpot, Instant Pot, or cooking pot. Crockpot: Cook on low for 7 hours. Instant Pot: Seal and cook on manual at high pressure for 10 minutes. Stove Top: Cover and cook over low heat for 20-30 minutes or until chicken is cooked thoroughly and shreds easily. Once meat is cooked, shred or cut into chunks and serve with cheese on top. Serve over cooked rice or tortilla chips or a bed of lettuce. Maybe I’m the only one – but when I buy frozen chicken breasts – I always have to cut fat/tendons etc out of it. I can’t do that when it is frozen. I too hate remembering to defrost, and have trouble with it, but… I don’t see a way around it with chicken due to needing to trim it. 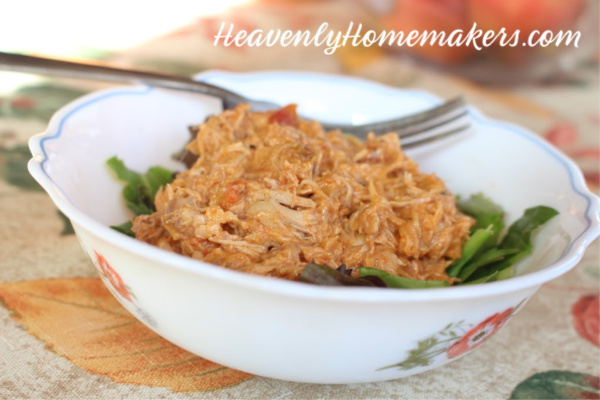 I make a similar recipe – but use BBQ sauce and chicken thighs and cook it in the crock pot. But what we’ve found is that a ton of water comes from the chicken and waters down the sauce we cook it with. We end up cooking the meat and then adding the sauce at the end after we drain the water. Have you encountered this? Any tips or suggestions? When you cook this in an Instant Pot, do you need to add additional liquid to meet the minimum liquid requirement, or is there enough liquid in the salsa? Oooh… This is so similar to another recipe that I love! Basically, instead of cheese, it called for frozen spinach (and whatever additional spices you’d like). Delicious and quite healthy!